The zero waste drinks movement continues to grow, with bartenders around the world implementing programs to reduce their environmental footprints. Efforts run the gamut—from swapping paper coasters for leather ones to overhauling ice programs and water systems—and many of the tricks bartenders use are surprisingly easy to adopt at home. Here are a few tips to get you started. Ask any bartender for the single most important (and easiest) trick to bring to at-home drinkmaking, and they’ll likely tell you it’s to stop using plastic straws and opt instead for re-useable metal or recyclable paper straws. 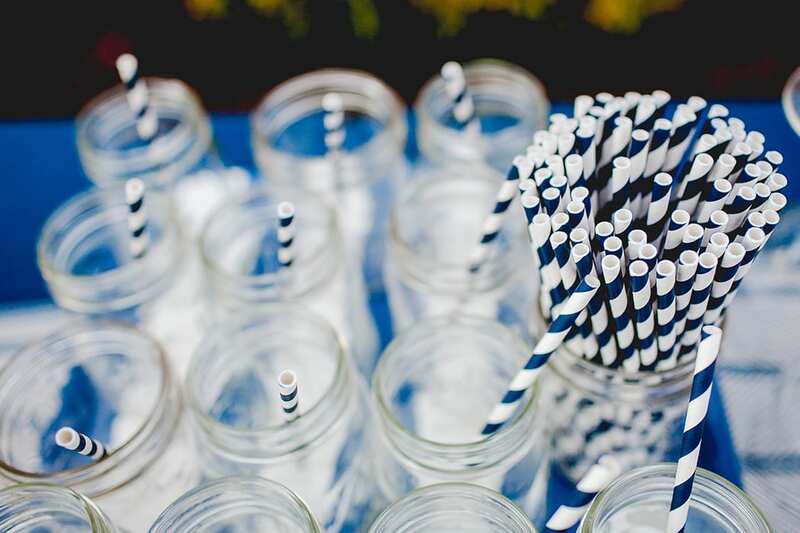 It’s a small and simple way to help prevent millions of plastic straws from ending up in landfills. Buying seasonal and local fruit will also lower your environmental impact. “For produce, much of the footprint comes from transportation and refrigerated storage. If you buy a tomato in the winter it likely travelled from far away (possibly by air) and consumed electricity to stay cold,” says Sprouse. “In the fall, look to a local farm for your juice, and mix with local strawberries in the summer. If you’re in Florida, Texas or California you can feel better about your citrus purchases.” Another tip: Buy ugly fruit! “It tastes just as good and usually gets thrown away,” adds Sprouse. At The Osprey, McGovern trains staff to keep a close eye on water use. “Don’t leave taps running, don’t run glass washers unless they’re full,” he says. Ice is another factor that contributes to water waste in cocktails. Some bars prebatch cocktails in bottles and store them in the fridge or freezer, which will keep the liquid chilled without having to use ice. Justin Lavenue from Austin’s The Roosevelt Room suggests using silicone molds at home if you don’t have an icemaker. “This will save you a trip to the store to buy a bag of ice and will decrease the number of plastic bags going into the trash,” he says.